UK Alumni Association of Montenegro (MAUK) is a non-governmental, non-profit organisation bringing together people from Montenegro with university degrees from British universities. We are primarily part of the UK’s prestigious Chevening Scholarship Alumni Network, but our membership is open to all UK graduates from Montenegro regardless of the programme. In addition to establishing a strong UK alumni network in Montenegro and building partnerships with relevant institutions and NGOs, our main mission is to support educational opportunities for Montenegrin students in the United Kingdom, and promote the Chevening and other scholarship schemes that are open to candidates from Montenegro. Our activities are directed at supporting higher education and science, building the country’s reputation, and facilitating the overall exchange between Montenegro and the United Kingdom, including cultural, economic and political relations. Since our establishment, MAUK has organised and taken part at various events. We presented Chevening scholarships to Montenegrin students throughout the whole of Montenegro. MAUK organised the first Balkan Regional Chevening Forum ‘Knowledge Shaping the Region’ in September 2014 in order to mark the celebration of the 30th Chevening Anniversary worldwide and 20th Anniversary in Montenegro. We organised the first-ever Montenegro-UK Chevening Business Forum in February 2016 that gathered government and international officials, business-people, and guests from Montenegro, the UK, and the region for talks about the business environment in Montenegro and making the country more attractive for British and other foreign investments. Following the successful completion of the first Business Forum, MAUK organised the second Montenegro-UK Chevening Business Forum in February 2017, focused on resolving NPLs in Montenegrin banking sector to restart credit growth, local economic development and competitiveness and business environment improvement. In November 2016, we organised the first Chevening Innovation Forum – Innovation Reshaping Montenegro 2016 aimed at inspiring Montenegrins of all ages and social groups to creation and innovation and influencing decision-makers to support and foster creative and innovative ideas and projects. 'Digital innovation in public administration: Future of Montenegro' was the topic of the Second Innovation Reshaping Montenegro Forum organised in 2017. This Forum was aimed at all stakeholders involved in the process of public administration reforms in Montenegro, with more than 100 participants, including representatives of the government, local municipalities, NGOs, start-ups, and students. The goal of this Forum was to support enhancing digital innovations in Montenegro through finest British expertise and Chevening alumni examples, by encouraging digital innovation and reinforcing the principles of user-orientated digital services. We invite all the UK graduates, as well as those who intend to continue their education in the UK, to join us and participate in our activities and discussions. Ferida is the darling of our organisation and likely the most fashionable member of MAUK. This trendsetter brings a lot of creative energy into everything she does, sourcing inspiration from all walks of life – music and arts especially. Ferida’s career and educational paths best reflect her colorful personality. She completed her Bachelor studies in Political Science in Montenegro and the United States before pursuing a Master degree in International Relations at the London School of Economics. She has worked in the NGO sector and various Government institutions. Her work bio includes working for the Montenegrin Foreign Service at the Ministry of Foreign Affairs and European Integration and Managing Director of the Atlas Foundation. Currently, Ferida is the Deputy Project Manager of a World Bank project at the University of Montenegro - BIO-ICT Centre of Excellence. Besides Chevening, she’s also a member of Konrad Adenauer Stiftung and The Fund for American Studies Alumni. 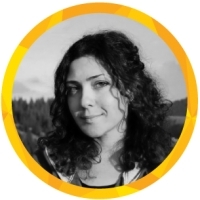 Jelena is the Chief Operations Officer of our team, and the “turbo engine” behind most of our activities. She can get just about anything done with precision and speed. She’s an expert at event, hospitality and project management, adept at managing multiple projects simultaneously while maintaining a great sense of humor and optimism. She’s exceptionally reliable, yet incredible fun to work with. 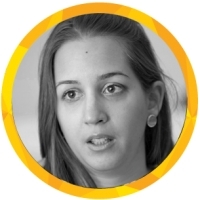 With over 10 years of experience working with NGOs and corporations alike, Jelena is a skilled entrepreneur and a proven leader. Her endeavors also include destination management and managing luxury lifestyle brands. Jelena enjoys immersing herself in different cultures. She’s very passionate about traveling, particularly if you throw the Caribbean islands and R&B music into the mix. She daydreams of working with the youth one day, and opening a beach bar in Jamaica where all her friends would feel at home. 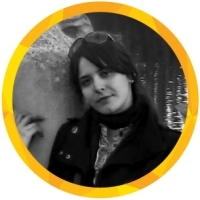 Ana is one of the most driven and pro-active members of MAUK, and the backbone of our Organisation. She’s an unruffled leader and a zealous worker. Well-mannered, well-organised, and thorough, without being any less affable and fun-loving for it. She is a young professional working for the EU Delegation Montenegro, a position that has allowed her to be practically involved with the subject of her academic studies. Ana holds a M.Sc. from the University of Montenegro and an M.Phil. in International Relations from the University of Cambridge. She’s currently a PhD candidate at the Faculty of Political Science, University of Montenegro. Ana is passionate about many things, but photography and ballroom dancing top her list of favorite hobbies. Jovan is the Strategy guru of MAUK and is handling our communication efforts. Per his full time work, Jovan is strategically servicing some of the world’s leading brands and most prominent clients such as the Coca-Cola Company, Nestle, Formula 1, and others. Before embracing his creative side and getting into Strategic and communication planning in some of the biggest and most creative global advertising networks, Jovan was involved in diplomacy for a number of years, holding high-level posts in Montenegrin government and Foreign Service. He’s a true nomad at heart that has lived, worked and studied in many places around the globe, treating each new experience as special as the one before. He’s very passionate about life, and is the life of every party. If you don’t know where to find him, try the dance floor. Jovan holds Masters of Arts Degree International Relations and Contemporary Political Theory from the University of Westminster. 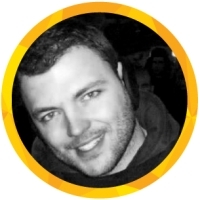 Stefan is one of our founding members, and a popular face in MAUK. He graduated from the University of Cambridge (Robinson College) in 2010 with an MPhil in International Relations. Stefan is an extremely dynamic individual. He’s currently head of international communication and social media at the Government of Montenegro. He is involved in several projects including on EU and NATO accession and transparency. He was previously a university teaching assistant. 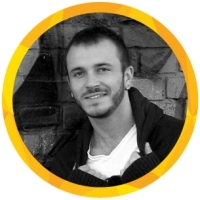 Stefan is a tech-addict, but at the same time enjoys the outdoors and working with people. He thrives in dynamic environments that require both creative and operational thinking. In his spare time, Stefan particularly enjoys skiing or being at the seaside. He’s a big feline admirer; and you can often see him in company of his lovely wife Ana Šćepanović – who’s also one of our active members. Majda is one of our most pro-active and charming members. She's the legal expert in our team, and is a real pleasure to work with and be around. Majda obtained an LLM in European Law at King's College in London as a Chevening scholar. She's currently working for Montenegrin Telekom as a Compliance Expert. She's an experienced professional who does everything with lots of energy, accompanied by an always positive attitude she's known for. She's fluent in English and French. 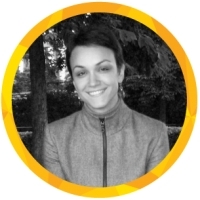 Majda is all about self-improvement, and as part of that enjoys spending time in nature and doing yoga. Vuk is easily one of the most charismatic and interesting members of MAUK. This Mr Smarty Pants is a teacher, translator and amateur Latinist. His fields of expertise include diplomatic and intellectual history and premodern Montenegro. Vuk holds an M.Phil. in International Relations from the University of Cambridge. For the past five years, He has been working as a teaching assistant at the University of Donja Gorica. You’ll have to meet him to find out more. Marija is our social butterfly. She’s an anti-corruption practitioner with nine years of professional experience in the field of good governance, transparency and integrity. Before joining UNDP Montenegro, Marija was a Government of Montenegro employee, where she helped design and monitor the country’s first national anti-corruption action plan. 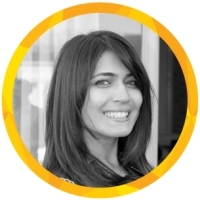 Marija joined UNDP Montenegro in 2010 to manage the anti-corruption portfolio. 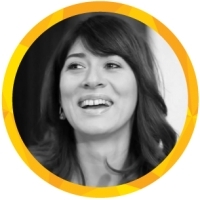 In 2012, she spearheaded the establishment of an online petitioning platform, Citizens Voice, allowing every adult citizen of Montenegro to directly influence policy making. Marija was leading a social innovation project, canvassing the whole of Montenegro for ideas on how to harness the powers of web and mobile technology for social change. She regularly writes on open government issues for UNDP's Voices from Eurasia blog and her articles have been published, among others, by the Guardian. She completed her Master studies in Public International Law at Queen Mary University of London. Marina is our miss charming. This lady is an innate leader that embodies sharp thinking, good energy and great organizational skills. 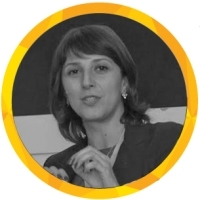 Marina is a Senior Advisor at the Directorate for Anti-Corruption Initiative of Montenegro – where she leads the Strategic planning team in the fight against corruption and organized crime. Just like in life, she’s extremely passionate about the work she does, which keeps her motivated through often “-painful” parts of the process. Marina has studied European Studies at the King’s College in London, and is one of our strongest links to the ongoing process of European Integrations of Montenegro. Ivan is one of the most entertaining members of MAUK, and we try to bring him along everywhere we go. Besides being fun, He’s a highly motivated, communicative and hard working individual, with superb organizational and managerial skills. He has over 7 years of experiences in international and domestic financial and economic matters. Ivan has completed Bachelor of Business Administration in International Business at Berkeley College, USA and holds a Masters in International Business Economics from the University of Westminster. 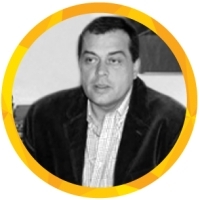 Ivan currently works as the Head of Directorate for Regulatory Impact Assessment in the Ministry of Finance of Montenegro. Milo is one of our founding members and has been active in our organization ever since. Milo is highly personable, ambitious and motivated researcher. Confidence and persistence are the values that He pursues in all his endeavors. So far they include consultancy and project works for the universities, public and research institutions alike. He finished his bachelor and master studies at the University of Montenegro, Faculty of Economics. He has also completed the MSc program in Economics for Business Analysis at Staffordshire University, as a Chevening scholar. The spirited attitude that He’s known for was sculpted during rigorous trainings in Kendo, where he holds a Master degree 2 Dan. 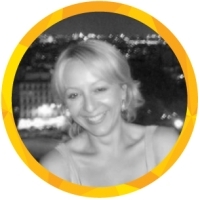 Maja is an active member of MAUK, and one of our proud representatives of the Montenegrin academia. She’s a full time professor at the Faculty of Law at the University of Montenegro, where she teaches a range of subjects in International law. She is also the author of a number of scientific books and papers published in Montenegro, Netherlands and Germany. She obtained a Masters Degree at the Faculty of Law in Belgrade in 1995 (in the field of international commercial arbitration), and a Doctoral Degree in 2001 at the same faculty (in the field of private international law). Maja spent six months in the UK at the University College London as a full-time affiliate research student on a Chevening scholarship. Maja is very involved in social work and has been continuously involved with international sustainability projects dealing with environmental protection, arbitration, human rights and European integrations. She was a Member of the Parliament of Montenegro (2006-2009), and serves as an arbitrator with the International Commercial Arbitration of Chamber of Commerce of Serbia (since 2009), Chamber of Commerce of Montenegro (since 2010) and Chamber of Commerce of Slovenia (since 2012). She’s well traveled, open minded and a pleasure to work with and be around. 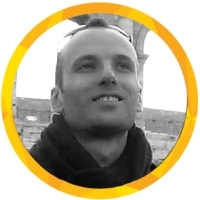 Milija is one of our most active members. He’s a determined, hardworking and exceptionally organized individual with expertise in the field of education and computer-assisted language learning (CALL) research. Always a perfectionist, he’s is very detail oriented and flawless in execution of his ideas. 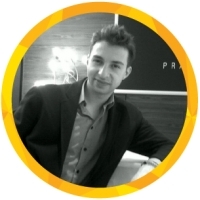 Milija is a co-founder of the respectable British International School ‘Arcadia Academy’. When he’s not solving problems and working with his young students, Milija enjoys playing squash and golf. He holds an MPhil degree in English and Applied Linguistics from the University of Cambridge. Aleksandra is one of our gorgeous ladies of MAUK. She’s a silent leader and an expert in finance. She’s very open minded, curious and committed in everything she does. She has more than 5 years of work and research experience in international, non-profit and public organisations on various finance related projects. She enjoys dynamic work environments where her ability to work well with different peoples and cultures really comes to light. Aleksandra holds a BSc in Business Administration from University Luigi Bocconi in Milan, Italy and an MS.c in Finance from University of St. Andrews in St. Andrews. Edin is one of our financial experts, specializing in operational and financial reporting; as well as investment analysis. 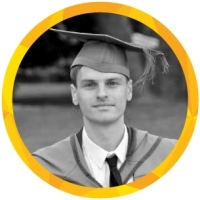 Edin holds a BSc in Economics from University of Montenegro and MSc in Economics for Business analysis from the Staffordshire University. Edin speaks several foreign languages including Russian. He’s very personable and is a popular face at MAUK events. 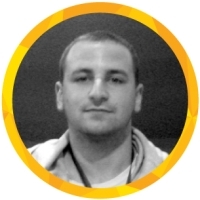 He currently works at Porto Montenegro as a business analyst. Ivan is probably the tallest member of MAUK. Besides being tall, He is an interesting character that always contributes interesting ideas to our work. He completed an LL.M in International Business Law at the UCL, and currently works as a legal consultant for UNDP on various projects dealing with renewable energy and sustainable development. 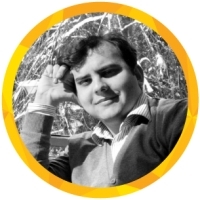 Prior to working as a consultant, Ivan has worked for the Government of Montenegro and Ministry of Economy, where he served as the Head of Renewable Energy Department. Nemanja brings a certain maritime spirit to MAUK. He comes from Herceg Novi, but likes to think of himself as a citizen of the world - reluctant to accept boundaries and always interested in challenging conventional wisdom. 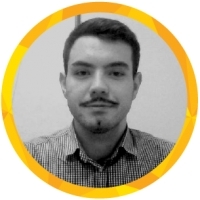 Creative in his approach to life and work, Nemanja possesses sharp analytical skills and delivers the best results when placed in a multilingual and intercultural setting. In his hitherto professional experience, he has focused on anti-corruption policies, fight against organised crime and protection of human rights. As a strategic thinker attentive to detail and able to joggle multiple tasks simultaneously, Nemanja is an asset for any work environment he may find himself in. After completing his Bachelor of Arts in the United States as a United World College alumnus, Nemanja obtained a Master of Philosophy degree in European Politics and Society at the University of Oxford as a Weidenfeld Scholar. Dijana likes to work hard and play hard. She’s one of our financial experts who enjoys her work, yet loves to get away with friends every once in a while. She holds a Masters degree in Economics for Business Analysis from the Staffordshire University – a time in her life that she gladly remembers for the people she’s met, places she’s seen and most of all the knowledge and experience she’s gained. Vojo is a media expert with over twenty years of experience in broadcast journalism, media management, communications, training and education. Currently, He is focusing on Strategic communication planning – something that He’s quite passionate about. He has studied International Law of Telecommunications at the London School of Economics, and went on to complete his thesis on the subject of “International Legal and Political Aspects of Direct Satellite Broadcasting” as a research fellow. Jakov is the mr Achiever in our Organisation. He enjoys pushing himself out of the comfort zone, and is a true global citizen who has lived in 6 different countries so far. No wonder that his credo is Live curious. Jakov considers his personality to be the blend of British gallantry, American optimism, Austrian elegance, Italian charm, German reliability and Montenegrin loyalty. He holds a two year Master degree in Economics from University of Oxford (St John's College) and a Bachelor degree in Economics and Business from the University of Montenegro. He has earned a number of national merit-based awards including foreign scholarships for studying abroad at Sapienza University of Rome (European Commission), Vienna University of Economics (Austrian Government) and Illinois State University (US Government). He is alumnus of the Konrad Adenauer Foundation and Chevening Scholarship. Milijana is one of our economic experts. She’s a trained economic analyst and researcher with background in project management, specialized data analysis and reporting. She holds a Masters degree in Economics for Business Analysis from the Staffordshire University. Besides being a superb at analytics, Milijana is also an avid communicator. She’s the peoples’ person, who has worked with many Governmental and international institutions, research agencies, and private enterprises – providing consultancy, and quantitative and qualitative reports based on contemporary research methods. Milijana loves traveling, meeting new people and cultures, and working in the multicultural environments. Marjan is our young “Master of the Universe”. 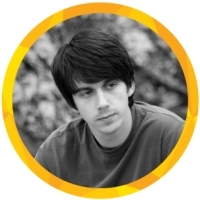 He is mainly active within the fields of project planning, project management and fundraising activities. 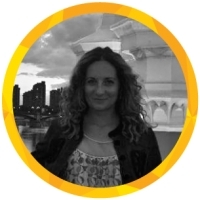 Marjan is currently working at the Ministry of Finance as a Senior Adviser for State aid issues as well as a work group member for EU accession for Chapter 8 – Competition Policy. He holds a Masters degree in Investment and Quantitative Finance from University of Westminster. However, his interests exceed the scope of finance, where he likes to concentrate his time on subjects such as legislation, humanitarian activities, debate, transparency, integrity, technology, renewable energy, environment, etc. Ines has recently joined us. So far she’s been quiet member of our family, but as they say “still waters run deep” and she might as well show initiative and bring change when we least expect it. Her career and educational paths tend to overlap. Ines holds a B.Sc. from the University of West of England, Bristol and a M.Sc. in Banking and International Finance from the City University, Cass Business School London. She’s currently a PhD candidate at the Faculty for International Economics, Finance and Business, University Donja Gorica. 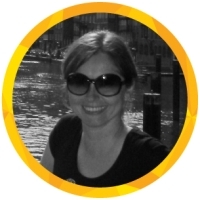 She has worked as Peer Assisted Learning Leader and Teaching Assistant. Currently she is working as a coordinator of Faculty of Culture and Tourism and Faculty of Design and Multimedia, at the University Donja Gorica. 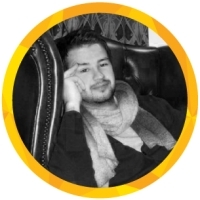 Stevan is the most passionate MAUK member for foreign languages and travelling. He is currently pursuing another Master’s Degree at Tilburg University in the Netherlands. 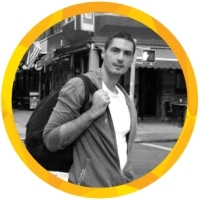 He is an enthusiastic and skillful professor and translator for the English language who is always doing his best to teach students not just the language but about rich and unique British culture and lifestyles as well. In addition, he is an expert in written and oral translation with much experience in translating all sorts of books, handbooks, documents, strategies, contracts, especially in the field of Law, Economics, Tourism and Literature. Being a positive and optimistic person, he still believes everything can be achieved if you really make an effort and be persistent. Hence, he has already accomplished one of his goals – he has completed the MPhil. in English and Applied Linguistics at the prestigious University of Cambridge in the UK. Besides near-native English, he is also fluent in French and has intermediate knowledge of Italian and Spanish. Ana is one of our most prominent members, especially in the field of Montenegro EU integration. She\'s fun to work with and pleasure to be around. Ana obtained MSc in International Business Management at the University of Surrey, as a Chevening scholar. 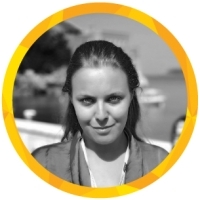 She\'s currently working at the Director General for Coordination of EU Assistance Programmes at MFAEI Montenegro. She\'s known for professional and positive attitude. She\'s fluent in English, French, Italian and German. Ana recently joined MAUK and we already learned that she is very chatty and inquisitive about everything. Ana obtained MSc in Politics and Communication at the London School of Economics and Political Science, as a Chevening scholar. She is a results-driven communications expert, experienced both in journalism and public relations. Her fields of interest include digital marketing, new technologies, with a focus on social media platforms and transmedia storytelling. 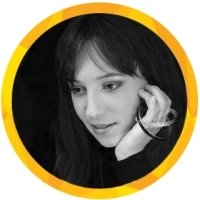 She is an awarded investigative journalist, with in depth knowledge and understanding of political affairs, economic and social issues in the Balkan region, EU policies and EU integration process. She has keen interest in research of audiences, gender issues, but also cinema, literature, art. She strongly believes in making small changes in the world every day. With a flexible and proactive approach, Ana is always ready to deal with new challenges and goals. Innovative and dynamic working environment is a place for her to be, wherever in the world. Ranka is one of our oldest Chevening scholars difficult to see around as she has been living abroad since 2005. Ranka graduated Psychology at the University of Belgrade in 1997 and became the Master of Science in Social Psychology at the London School of Economics and Political Science in 1999. In 2005 she was one of the emerging leaders international fellows at the Center on Philanthropy and Civil Society at the City University of New York. In 2006 Ranka completed the Joint European Master in Comparative Local Development for the Balkans and Other Areas in Transformation at the University of Trento, Italy and in 2007 the Master in Peacekeeping Management at the University of Turin, Italy. After ten years of working in the field of democratisation for various international organisations including OSCE and UN primarily on local government reform Ranka has shifted her professional interests towards democratisation of parent child relations and educational systems. Her best advisors on parenting issues and the key motivators for her professional and personal growth are her two children, now six and four years old. Ranka is currently residing in Luxembourg with her family. 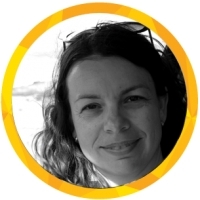 She is the founder and director of the Centre for Mutual Education \"VidiMe\" (SeeMe) Kotor, Montenegro inspiring and supporting parents and professional educators to behave with children the way they want them to behave towards others: with understanding, respect and compassion.